There is a piece of land in Corpus Christi which hides a secret. It is perhaps one of the only places in in town where you can enjoy nature in its raw form, untouched for 8 years. It is a contentious piece of land that has for the past few years been under a constant battle for development. It will be developed, not now, but soon in the future. Land of that size and value does not go unnoticed. It was only a matter of time before it was sold, divided, and constructed. I am not here to choose sides in this argument, I don't live there anymore. Think of this article as a eulogy or a time capsule of my experience, a way to say goodbye. The piece of land in question is the Pharaoh Valley Golf course. To get an idea as to why I became so attracted to this place, you have to first understand the other available options for natural beauty in Corpus Christi. During my 2 year stay in town, I visited nearly every park listed on google maps. Each one seemed to be designed specifically for one thing, to check a box marked “park”. They had everything a park needs, trash bins, grass, a tree or two. Maybe they even had a playground, baking in the sun uncovered. Some with soccer goals or baseball fields, most often unused. The one thing each park lacked was nature. It was the absence of nature in general which was their most striking feature. The two locations which had the most potential to fill this absence were the Oso Creek trails and Suter Wildlife Refuge. Both were so close to achieving their goal yet fell short. Oso Creek trail is not open to 4x4 traffic yet is completely devastated with ruts and erosion from over use of motorized vehicles. While walking I noticed ruts so deep they came up to your knees. We even saw people on 4 wheelers drive past a clearly marked “no vehicle” sign. The second option, Suter wildlife refuge, is an amazing contrast to the rest of the Oso bay coastline. Housing developments along Oso bay extend as close as possible to the water’s edge. In some cases even walking would be challenging, as porches are nearly touching the bay. Suter refuge is a beautiful oasis along the water. Old growth native plants provide habitat for butterflies and birds. The beach is nearly untouched and an excellent sight to see. However, it is tiny, and mostly inaccessible to the public. This is not inherently a bad thing, but when it comes to availability of nature to the people, it falls short. This leads me finally to Pharoah Valley. I found it, like I find most parks, looking in satellite view on google maps. It was unlabeled and listed as closed, but it looked interesting and I thought it would be worth a visit. As I entered the golf course for the first time I was immediately taken back by its size and beauty. It was enormous, over grown and natural. You could clearly see where nature began to take over the features that define a golf course. The quantity and variety of birds present in the park was startling. On each visit I seemed to uncover more species than the last. The man made water features were suddenly left to their own devices and returned to a somewhat marshy habitat. Ducks of all kinds took up residence in the ponds. It was an oasis in the center of a city. For the better part of 2 years I walked in the golf course nearly every weekend. On many occasions I was alone, rarely seeing more than one person at a time on my visits. The area was quiet, and left me with a sense of calm. As a wildlife refuge the golf course could check every box. Accessibility to nature, ability for recreation, wildlife habitat. However, it lacks one thing, wildlife habitats don’t make money. They never have and never will. Their value is non-monetary. Yes some value can be measured in the value of the property around it. People will pay high prices to live in quiet near natural beauty. But the land itself loses value when left untouched. The value of untouched land is in the impression it leaves on the people who use it. In Memphis TN a railroad was closed and turned into a bike lane called the greenbelt. It was a very contentious issue. The money came from a private donor, there were legal hiccups and property owners who didn’t want it going through their backyard. People argued that robberies would increase and the neighborhood would suddenly fall to crime. None of this happened. What did happen is suddenly a community which rarely interacted with each other, began to build relationships. People who had nowhere to ride a bike, suddenly had a place. People began to go outside and enjoy the natural beauty that the trail provided. Nature education classes sprung up in neighborhoods that never had them before. If you asked the people now how they feel about the trail, I would argue that 9/10 would say the greenbelt had a positive impact on their life. The greenbelt is free and makes no money from its use. This is the value of natural places. All views and opinions are my own. All photos were taken by me. People decided around the pioneer times that wetlands were wasted space and good for nothing else besides being drained and used for agriculture (1). They supposedly posed a health risk by harboring mosquitoes, and were difficult to navigate through (1). In 1846 one of the first major wetlands altering projects began in Horicon Wisconsin. The town needed a sawmill and decided to dam a river leading out of the "Great Marsh of the Winnebagos". Over time the dam caused the water level to rise in the marsh and it turned slowly into a lake. At first this was a welcome reprieve and residents used the lake for recreational activities. However, landowners sued the sawmill in 1869 after a flood, and won. The dam was removed and water drained freely once again. The townspeople, now suddenly without a lake, sat around debating what to do with the recently drained land. As they debated, something interesting was happening in the marsh. Birds that had previously passed over the lake suddenly started landing there and staying. Ducks began to migrate through the marsh and started nesting. A few years after the dam removal, duck hunters began reporting 500,000 ducks hatching each spring and flocks of geese covering the sky (2). Something that originally had no value now was important to a large group of people. The land was later acquired by the state and is now a wildlife refuge. Wetlands conservation has been the cornerstone of game bird protection, and vice versa. However, it has not been until recently that cities are catching on and realizing their use for flood prevention. In an effort to reduce flash flooding, cities build rainwater swales that collect water during high rain events. These swales have a porous bottom that allows the water to re-enter the ground slowly over the next few days time. Most of the swales are often bare looking, just a grassy bowl on the side of the road. However, taking it one step further, wetland swales can be created to solve a variety of problems. Manufactured wetlands are a huge gigantic step in the right direction for wetlands conservation. They can attempt to bring back some of the benefits of natural wetlands, as well as provide recreational opportunities. Houston is uniquely located in a low lying bayou/ marsh ecosystem and has dramatically changed the landscape with urbanization. It comes as no surprise that it regularly suffers flooding events on a large scale, even in the absence of hurricanes. 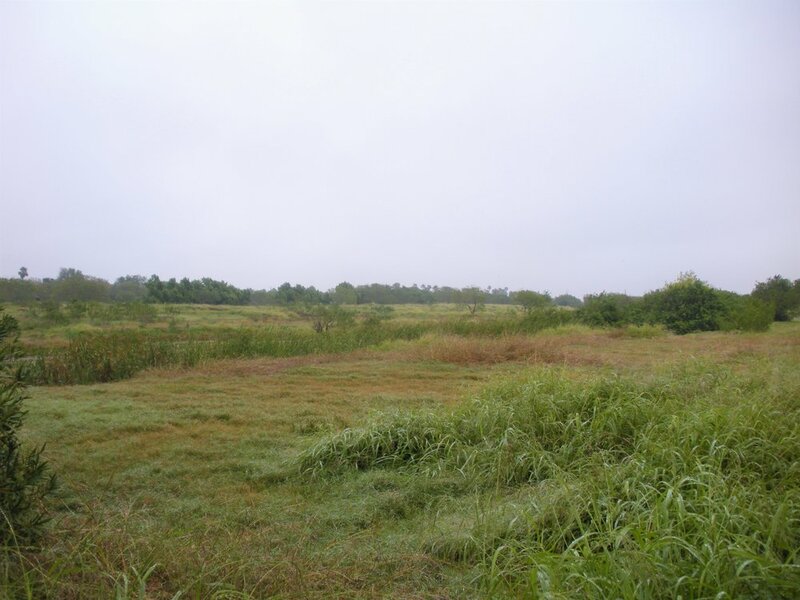 A notable wetland restoration project in Houston is the Sheldon Prairie (4). Filled in for agriculture use, Sheldon prairie was excavated following some historical records and allowed to fill in with water. Native plants were planted by students and volunteers from TAMU and local schools. The project was finished in 2009 and now is an excellent wetland habitat. With some grant money flowing in from the gulf oil spill only time will tell if more wetland restoration projects get funded. Luckily it seems that the policy of draining or filling wetlands has slowed or ceased in some areas. The US has operated on a “no net loss” policy of wetlands implemented by George HW Bush in 1988 (5). This policy has been in effect and maintained by every president since and acts as a barrier for farmers and developers when draining wetlands. Even with this policy in place, lack of enforcement and encroachment of development has led to a slow decline in wetlands between 2004 and 2009 (6). The biggest threat to wetlands seems to be climate change, which has damaged coastal wetlands the most (6). If we learned anything from the Horicon Marsh story it is that wetlands must be measurably valuable to people in some way. In cities they are not just habitats for birds, they exist for flood prevention and water purification. Maybe it’s time to beef up this policy to a “net gain” and reclaim some of the 100 million acres that have been lost. 1. Dahl, T.E., and Johnson, C.E., 1991,Wetlands--Status and trends in the conterminous United States, mid-1970's to mid-1980's: Washington, D.C., U.S. Fish and Wildlife Service, 22 p.
If you have not read Planet or Plastic by writer Laura Parker and photographer Randy Olsen you need to get off your bum and go get a copy. The striking images will leave a lasting effect on you and make you contemplate your role as a trash producing killer of the ocean. Something that stuck out to me was one line in the article “there are no ocean trash deniers so far”. While climate change continues to be a constant battle of, is it real vs is it fake, ocean trash so far has undeniably been held up as an accepted and terrible problem. On a very interesting infographic map within the article, the amount of plastic waste entering the ocean from various rivers all over the world is depicted. To my surprise rivers in the USA were not major contributors of plastic to the ocean. I am sure American readers are all breathing a sigh of relief, and patting themselves on the back for a job well done. Hang on there just a minute, put down your 3.99 bottle of Dasani and tiny pre-made grocery store salad. The USA recycles a measly 10% of all plastic trash (1) produced. Just because we aren’t dumping it into a river doesn’t mean it isn’t going to be a huge environmental problem. In 2016 the US sent 16 million tons of waste to china to be processed, a program that has since been discontinued (2). So yes, we are responsible for some of that trash entering the ocean from rivers in Asia, let that marinate. Creating change in plastic use and recycling is where major strides can be made in the waste-pocylapse that is headed our way. We have little control over companies that continue to produce plastic packaging that is impossible to recycle, or not accepted by your cities’ waste management system. However, we do have control over ourselves and influence in our community. Upon entering into my current field of employment I was startled to find that the high school I work at still uses Styrofoam cafeteria trays. Many of these trays go directly into the trash unsoiled, having a usage lifespan of mere seconds. There are recycling bins located all over the school but the waste will often not make it to the recycling dumpster and instead is put in the landfill bin. The school gets penalized (custodians bear the brunt of it) if non-recyclable trash gets put into recycling. To avoid backlash custodians will often throw out whole bags. So the question remains, how do you get 3000 teenagers to recycle better? My recent visit to an elementary school opened my eyes to how different schools can approach this problem. While elementary school kids recycle simply for the sheer joy of a high five or praise from an adult, teenagers will often do exactly the opposite just to get a reaction. Some tend to show apathy for anything you care about just for the sake of rebelling. Cover of the June issue of National Geographic Magazine. On a more fundamental note, how do we get people to increase their participation in the three R’s? All it takes is one look at the greenbelt in mid-summer, or a beach in Texas after a holiday weekend and you are left scratching your head as to who the heck would cause such a mess. Cleanliness of residents is often a cultural shift and requires a lot of political support both locally and statewide. It has to be a priority for the city and residents (3,4). The Texas supreme court has recently made it quite clear that it is not going to take the necessary steps to reduce waste and has made it illegal for any city to ban packaging, including bags(5). It will take an election and a creation of a new state law for this to be reversed. The two fears we face sleeping outside. I first experienced camping at a very young age. I was also one of those kids who was sent away to sleep away camp for a week or so in the summer. As a result it is hard for me to remember my very first camping experience because the memories are all mixed together. One of the oldest memories I have is waking up at night to tiptoe off to the bathroom and being confronted with the darkest darkness that only the wilderness can provide. Living in the city, I was not aware that night time could be so dark. It felt suffocating and frightening almost as if you were going blind. I remember being frozen on the steps of the cabin trying to force my mind to make a decision, to step forward or go back into safety. That early experience with darkness in a way removed my fear of the dark. Any further experiences really paled in comparison. This fear of the dark can be seen at any campsite or group camping experience. People have the impression that if they can’t see then something has the possibility to sneak up on them or attack them in the night. Hundreds of horror movies have helped this belief grow, and in a way are one reason that I shy away from them. This fear ties in nicely to the second fear experienced while camping and that is silence. We live in a noisy busy world. Take a moment to listen to the sounds around you, refrigerator, cars, air conditioner, maybe a cat or a dog. We listen to these sounds so much that we no longer hear them, however, we do hear an absence of sound. The first night in the woods can seem like landing on another planet. The first thing you notice is how much noise isn’t present. Depending on the season there might be insect sounds but in the fall or winter you may be faced with total and complete silence. Any noise that you do hear suddenly becomes incredibly loud and instantly dangerous. You enter a constant state of fight or flight and have trouble simply relaxing or sleeping. It is for these two reasons that people tend to dislike camping in general. Having experienced many friendships both making and breaking on these trips, camping tends to expose fears we weren’t aware we had. It can be vulnerable and embarrassing to express these fears around people whose opinion you care about. Instead of facing these fears or abandoning camping all together, people have begun to shape their campsite to dispel their discomfort. People bring large bright lights to shine into the sky pushing back the darkness. They turn up the stereo to their favorite song, to avoid hearing a possible approaching monster. All the while pushing away an experience they could grow and learn from. The stars are not visible from your campsite under a 100 watt bulb and you can’t hear owls call to each other behind a stereo. The photo on the far right is the moon, while the two left photos are RV lights. The good thing is, you can absolutely have both. You can listen to music, hangout under a light and experience nature, just not at the same time. Most campsites have a 10pm curfew which calls for lights and sounds to be out past that time. A good camp host can also help you ease nicely into enjoying the wilderness. The host will drive around introducing themselves setting to bed some fears that we are completely alone out here. The best thing to do is take a deep breath, face your fear, and turn out that light.